Crazy competition link up is new for 2016. Last week Crazy Competition Link Up saw 16 fantastic competitions added to it. 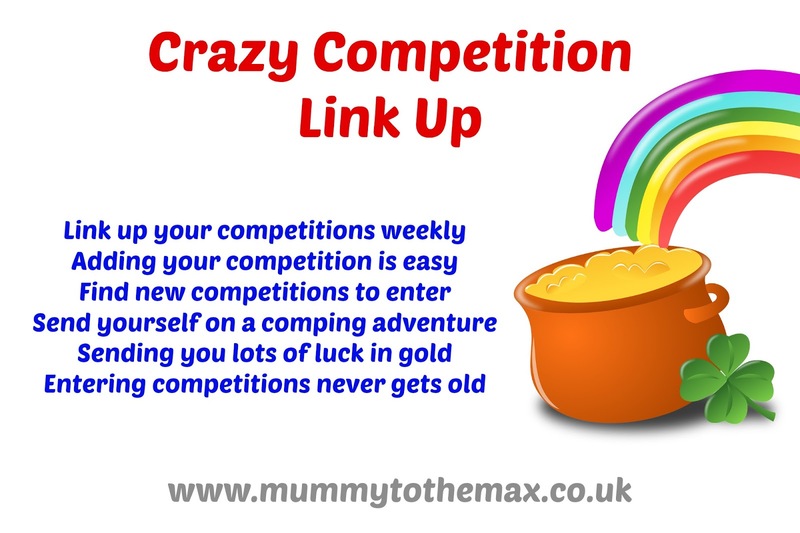 Crazy competition link up will be posted every Wednesday so please add your competitions weekly! Posting every week allows everyone to find the latest competitions and allows brands and bloggers the chance to promote their competitions to a new audience.